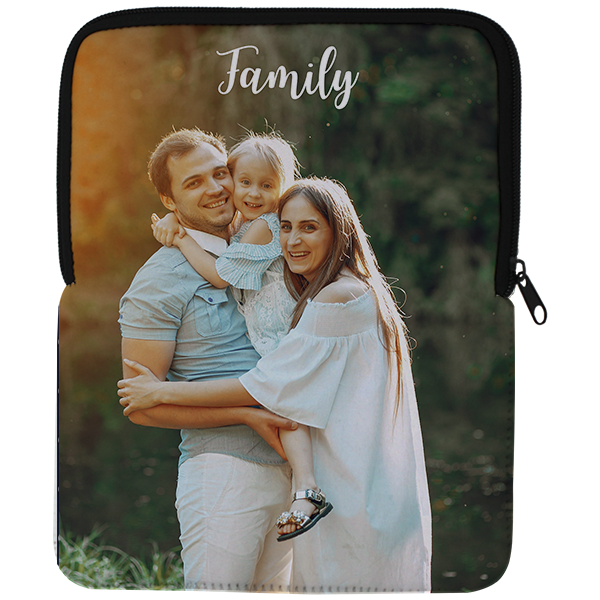 Our Family iPad Sleeve is a perfect gift for that family member that has everything. Upload your photo and we'll print it on the iPad sleeve! Our Family iPad Sleeve is a perfect gift for that family member that has everything. Upload your photo and we'll print it on the iPad sleeve! Our notebook measures approximately 7.5"x9.75" so it fits your iPad air securely. Notebook are made in the USA. Adding a monogram adds a touch of personalization. Order today!